Never in a million years did I think I would run my own business. 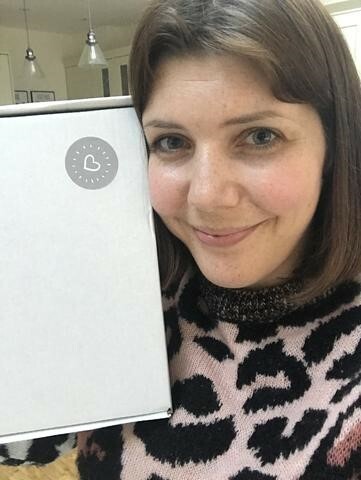 But here I am, embarking on a journey as (dare I say it) an entrepreneur, having just launched my business Seventeen Minutes - a quarterly subscription box for mums who need some TLC. Like so many women these days, I'm starting my own small business, from my kitchen-table. Some people may find the term "kitchen-table brand" a bit derogatory but I'm using the phrase literally. I've spent countless hours working at my kitchen table because I don't have an office. I've packed boxes on the kitchen floor. The old nursery is currently my store room. I'm sure I'll spend many late nights at the kitchen table trying to grow the business. It's quite simply the reality of a mother building a business at home and fitting it in around looking after her children. Seventeen Minutes was born out of a desire to do something different and create a work life that actually worked for my family. I have two tiny humans who pretty much rely on me for everything (they're 11 months and 2 years, 11 months). My husband runs his own business so it's fair to say we're stretched to capacity. But, I'm choosing to focus on the long-term gain - building a business I love from scratch and being around in the early years for my kids. Returning to my old job and commuting to London wasn't right for me anymore and even this early on, I know this is the option best for my family. 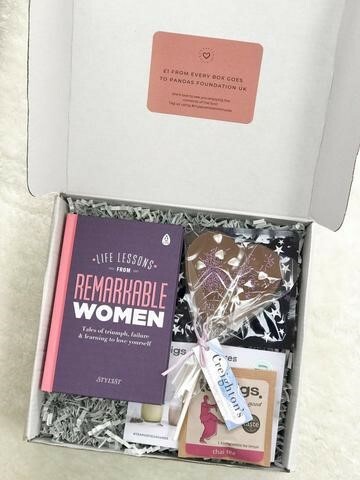 Seventeen Minutes is a quarterly subscription box for mums. I like to think of it as a care package delivered to your door, with treats you can enjoy while having some much-needed me-time. The contents of the box are sourced from some lovely small British brands and every product is thoughtfully picked to boost your mood and encourage you to have time to yourself. 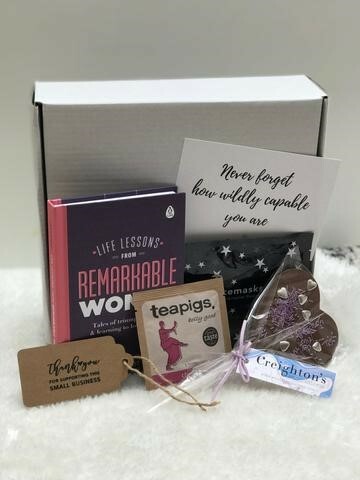 The care package is aimed at mums who need some TLC but it's suitable for any woman who could benefit from some down-time. I'd been dreaming up the idea for a few months before I considered it seriously as a business model. I knew subscription boxes were popular and there was lots of competition within the market but none that were specifically for mums. There were a few for new mums focusing on postpartum needs but in my experience, some of my most exhausting days are now. A few years in to it, amid the chaos of sleepless nights, potty training and tantrums. So I decided that was going to be the niche. I began planning out the first few boxes and picking the products I wanted to feature. I love a spreadsheet so the first step was working out all the costs to make sure the business was viable. With two small children, time was precious so I gave myself just one day to write a business plan. I was lucky enough not to need a bank loan to get started as Seventeen Minutes was funded with a really small budget taken from our savings. An A4 page was all I needed to cover the essential points. Using the Business Canvas Model, a whiteboard and some sticky notes was enough to help me understand and visually plan the overall strategy. There are obvious things to do, like choosing a name, registering the domain, getting a business bank account and a website theme. Fairly early on, I came across an article in Mother & Baby about a study that revealed the average mum has just 17 minutes to herself a day. The words jumped out at me and Seventeen Minutes was born. I registered the domain and secured the social media accounts the same day. It's not easy and of course I'm only at the beginning but getting your branding right is key to a good start for your business. I had a very clear vision of what Seventeen Minutes should look and feel like. From the colour palette, the tone of voice, the packaging, the messaging, right down to the products. I chose not to spend money on a designer and came up with the logo myself using Canva. It's simple and hopefully shows you don't need to spend money on everything to get your business started. Even if your logo isn't right in the end, you can always change it later. As the person who knows your business best, only you can decide what to spend your budget on. I've started Seventeen Minutes with just £1,000 which has been a real challenge. The products were the key component to getting the launch right so most of my start up budget has gone on inventory. It's a risk but I didn't want to have branded packaging with poor quality products. As the business grows, I can improve the packaging and other elements along the way but it was important to me that the products are right. They are the star of the show after all and that's what customers are expecting to enjoy. Just start. You'll never know if you don't start. Be the person who decided to go for it! Thanks for reading. You can follow the journey here. ALL by MAMA empowers parents to work around family life, offering flexibility, community and value to every one of our sellers. Want to know more about the world’s first marketplace to exclusively cater to and showcase mums (and dads!) in business? Click below.